An FIR (90/2017) has been lodged at Bandra’s Kherwadi Police station, against a developer on charges of delaying redevelopment of buildings located at Kole Kalyan, Kalina in Santacruz (East) and keeping 67 allottees on tenterhooks for nearly a decade despite collecting nearly Rs 87 crore from them towards the cost of the flats. The FIR was lodged on April 19, 2017 by Police Sub Inspector Jashri Sangle, based on the complaint of a 72-year-old allottee Clifford Menezes, against the directors of RNA Corp Pvt Ltd; Anubhav Agarwal, Gokul Agarwal, Sarang Agarwal and others. Sections 403, 420, 34 of the IPC and the Maharashtra Ownership of Flats Act (MOFA) have been leveled against the accused. The FIR says that the accused collected Rs 87,11,53,540 from 67 allottees but failed to give possession of flats, for nearly a decade. The FIR was subsequently transferred to the Economic Offenses Wing (EOW) of the Mumbai Police for further investigation. When contacted, Assistant Police Inspector (API) Vikrant Shirsat of EOW told The Afternoon D&C that more FIRs are likely to be filed against the accused and no one will be spared. At present we are conducting a thorough inquiry into the matter, he added. According to documents made available by RTI activist Sulaiman Bhimani, the developer agreed to redevelop Sunder Nagar Co-op. 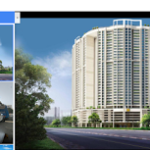 Society, Siddhesh Co-op Hsg Spociety, Matoshri Co-op Hsg Society and Kamkar Chawl located on plots (City survey No. 4853,4853/1 to 85, 87 and 88) totally ad measuring 14,956.41 square mtrs located in Kalina. The Brihanmumbai Municipal Corporation’s building proposal issued IOD (Intimation of Disapproval) under section 346 of the BMC Act on September 7, 2006, and subsequently issued a commencement certificate on March 30, 2007, to the developer. Despite all the clearances, no construction was started in time. The proposed composite project was titled as ‘RNA Address’ which was supposed to have 7 buildings with an area of 57,4945 sq. ft. comprising 294 premium apartments of 2 BHK, 3 BHK and other configurations. The total sales value of RNA Address was estimated at Rs 1,009 crore of which the developer sold units worth Rs 360.35 crore. Yet the developer issued letters of allotment to the allottees, towards purchase of the flats. The allottees made payments ranging between 20% to 60% of the total purchase, based on the reminders of the developer. Besides the tripartite agreements were also executed and entered into between the allottees, the developer and the State Bank of India(SBI). In terms of the agreements, SBI sanctioned stipulated loan amounts in favour of individual allottees based on the guarantee provided by the developer in favor of SBI. The developer agreed to obtain the necessary permissions and register the ownership agreements, within twelve months of signing the agreement. 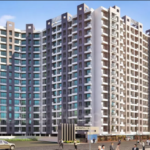 On May 11, 2012, the developer communicated to the allottees, that due to certain amendments in the Development Control Regulations of the BMC, the number of floors of ‘RNA Address’ have been reduced to 13 from earlier 15. As such the payment schedule stands revised. In March 2013, the developer told the allottees that the third slab had been completed, but since the approval was obtained only for the construction up to the third slab, the work would remain suspended till additional approvals were obtained from the BMC. Then on March 30, 2016, the developer obtained a fresh NOC from the Mumbai board of MHADA to commence work but again kept the work pending. When some of the allottees inquired with MHADA and the BMC about the delay, they were surprised to find out that since the developer did not make required payment, the approvals were held up. As of now there is a plinth plus three storey structure in an absolute wretched condition at the site. Now some of the allottees have also submitted a petition to the National Consumer Redressal Forum, seeking justice. Repeated attempts to get version of the developer failed since RNA’s supposedly ‘Corporate communication team’ went on dodging the issue.